Harman and other whistleblowers can take on corporations such as Trinity under the False Claims Act, a federal law that allows a person with knowledge of fraud to sue on behalf of the government. Harman’s case alleged that Trinity was aware of the dangers caused by the modified guardrails but didn’t notify the Federal Highway Administration. In June 2015, a Texas federal judge slapped the company with a $663 million judgment, based on a jury’s October 2014 decision that held Trinity liable for defrauding the Federal Highway Administration. The ruling found that Trinity had changed the ET-Plus design, never mentioned the modifications, and falsely certified that the FHA had approved them. In the wake of the jury trial, at least 30 states, including South Carolina, stopped installing the ET-Plus guardrails until further safety testing could be performed. The South Carolina DOT says it had installed thousands of guardrail terminals, as the ET-Plus systems are called, before the court ruling, and can’t pinpoint exactly where the faulty systems are on South Carolina highways. 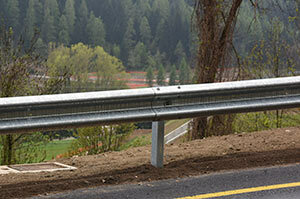 Informally, state officials believe that most of the guardrails recently installed were Trinity’s ET-Plus units, and they are now facing the prospect of locating all the units and determining the cost of replacing them. That’s the action that Harman hoped to see when he stepped forward with the lawsuit. He wanted to get the faulty guardrails off the roads. And, as the whistleblower who faced Trinity on his own when the federal government opted not to participate, Harman was allotted 30% of the award, or about $199 million. It takes determination to blow the whistle on fraud, and it can come at a high cost. Speaking out can take a toll on family dynamics and jeopardize your career. As with Harman’s case, the process can also take years and be incredibly stressful. He spent a lot of time traveling around the country, talking to accident victims and collecting evidence. Then the case went through the court process. The best way to handle a whistleblower situation is to seek advice from attorneys knowledgeable of the issues involved in filing under the False Claims Act. If you’re thinking about taking action, righting a wrong, and revealing fraud, you need a lawyer who can guide you through the process and one who will support you in what may be a challenging period. It may be challenging, but whistleblowing works. The Association of Certified Fraud Examiners estimates that 43% of fraud within organizations is discovered through tips from knowledgeable insiders. Most whistleblowers come forward with information because they want to do the right thing.